In the second semi-final of the 2018-19 Ranji Trophy, defending champions Vidarbha take on Kerala in what promises to be an exhibition of good cricket over the next five days. While Vidarbha have been rampant in the competition with the possession of the likes of Umesh Yadav and Wasim Jaffer, Kerala have quietly gone about their business and will have nothing to lose after already punching over the weight to an extent. With the match set to take place at Wayanad, Kerala, it is sure to be another great match in the Ranji Trophy competition this year. Win big with Fantain. Use bonus code "JOIN 25"
Vidarbha destroyed Uttarakhand in what was a brilliant display of pace bowling from Umesh Yadav. With Wasim Jaffer and Wadkar going strong, Vidarbha have every right to be counted as favourites for this match. They should field the same side that won them the quarterfinal match. Kerala would be sweating on Sanju Samson's fitness after the star batsman was injured in the first innings against Gujarat. He should be fit for the semi-final match with Kerala also ideally fielding the same side for their historic clash against Vidarbha. The onus will be on Jalaj Saxena again to turn the tide towards Kerala and guide them to an improbable win over the defending champions. Wicket-keeper: Vishnu Vinod is the preferred wicket-keeper although Wadkar is in brilliant form too. The former RCB opener has the ability to destroy bowling attacks and if Kerala are to upstage the defending champions, then Vinod has to fire big. Batsmen: Sachin Baby, Wasim Jaffer and Sanjay Ramaswamy are viable picks to go for. Faiz Fazal has also been in good form and could be a useful pick as well along with Ponnam Rahul. 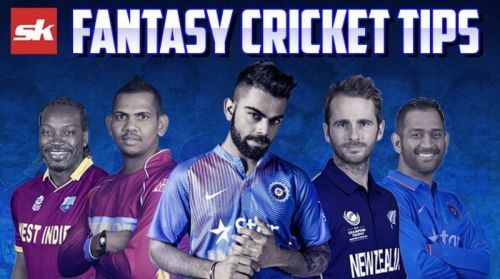 Bowlers: Umesh Yadav, Rajneesh Gurbani, Basil Thampi and Sandeep Warrier are the ideal set of bowlers to select in your fantasy sides. Umesh Yadav is fresh off a nine-wicket haul in the quarter-final while Sandeep Warrier is the leading wicket-taker for the Kerala team. All of them would be useful picks along with Akshay Wakhare. Captain: Faiz Fazal and Jalaj Saxena are the prime options for captaincy. Faiz Fazal is a very dependable batsman who has a knack of scoring big runs and one can expect him to go big in the semi.